All major cruise liner terminals can be found in the historic port of Southampton, approximately 30 miles from central Bournemouth. Various tour operators sail from Southampton including Carnival, Intercruises, Cory Bros Shipping Ltd and Denholm Barwil Ltd.
Carnival vessels include the Arcadia, the Queen Victoria, Aurora, the Oriana, the Ventura, the Oceana, theGrande Princess, the Artemis and the flag ship Queen Mary 2. Cory Bros Shipping Ltd have the Boudicca, the Amadea and the Seven Seas Voyager. Denholm Barwil Ltd run the Saga Rose, The Saga Ruby and the Norwegian Jade. 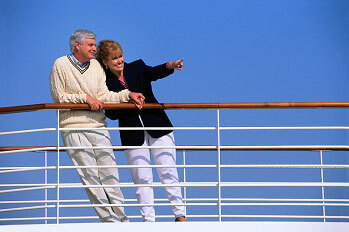 Intercruises vessels are the Voyager Of The Seas and the Independence Of The Seas. Dorset-Airport-Cars are available for transfers to and from Southampton docks 7 days a week, 24 hours a day and fares start from as little as £50 from the Bournemouth area. We have included various web site addresses for your convenience.